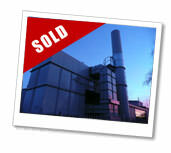 ...the widest selection of used Thermal Oxidisers in the world. 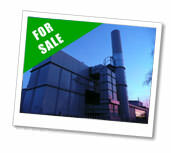 Abatement-Exchange.com is a specialist website dedicated to buying and selling used VOC thermal oxidisers. Freely available technical and commercial support to both buyers and sellers helps make decisions objective and not subjective. Thermal oxidisers reduce emissions to atmosphere such as VOC's (Volatile Organic Compounds) from solvents, odours, etc. They are applied in various industrial processes such as printing, coating, paint spraying, pharmaceutical, food processing, etc. Accessories, eg monitoring equipment, gas boosters, controls, etc. 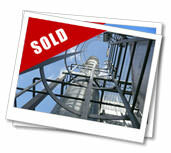 Thermal oxidisers such as Regenerative Thermal Oxidisers (RTO's) can be a significant cost to any business. 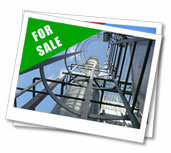 Increasingly, Operators are searching the used abatement market to reduce costs. At the same time, there are increasingly more quality used thermal oxidisers becoming available as Operators are expand, consolodate or (sadly) close. When selecting used thermal oxidisers, getting a good match to the load coupled with the right technology is essential. Whilst capital cost is important, a bad match can result in significant ongoing running costs for many years. It is not just about matching the airflow capacity but solvent loading, efficiency, flexibility, etc. We can help you search the widest choice of thermal oxidisers for the the best opportunity to get the good match at a realistic price. 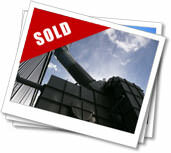 The Abatement Buyers Guide is an invaluable tool in understanding techniques and applications thereby helping our members and buy the right used abatement plant.